Copyright reform: the EU versus the internet? The end of the internet or a brave move to save culture from the barbarians at the gates? Copyright reform in the European Union has certainly divided opinion, and this week’s vote by the European Parliament to accept an amended version of the controversial proposal put to it in June had the rival factions reaching for appropriate superlatives. The reform, which will give film and TV writers the opportunity to secure more income from internet companies, has been welcomed by groups representing artists and writers such as French copyright collection societies SACD, ARP and SRF, which in a joint statement said the Parliament’s vote was a “sign of a Europe that is moving forward and does not intend to become a digital colony incapable of implementing polices in favour of culture in the digital era”. Open internet advocates made it clear, however, that the sky is about to fall in. Within the parliament itself, Pirate Party MEP and VP of the Greens/EFA Julia Reda describing the move as “a severe blow to the free and open internet”. Other internet advocates and consumer rights organisations have gone much further. Reda argued that European legislators are repeating mistakes made in Germany, where a so-called ‘link tax’ was introduced to support journalism some years ago, which, she said, had failed to produce a penny in extra income for journalists and had stymied innovative startups. Controversy focuses on Articles 11 and 13 of the proposed directive. Article 11 is designed to enable publishers to force internet platforms to pay them for showing news content, while Article 13 is designed to require internet platforms such as Google and Facebook to prevent users from uploading copyrighted material. Within the European Parliament, the reform has been driven by German MEP and rapporteur Axel Voss, who introduced amendments to win over support after the original proposals, submitted by the parliamentary legal committee in June, were rejected by a plenary vote. In the context of Article 11, the amendments allow links to be posted containing ‘individual words’ linked to publishers’ copyright-protected content, following criticism that the original proposals would effectively ban hyperlinks. Regarding Article 13, the new text limits the new rules to companies that host “significant” amounts of content and exempts “small and micro platforms” from the directive. Encyclopaedias such as Wikipedia and platforms such as GitHub are also exempt. Moreover,actions taken by platforms to check that uploads do not breach copyright rules must be designed in such a way as to avoid catching “non-infringing works”, and the platforms will be required to establish “rapid redress systems” operated by human staff through which complaints can be lodged when an upload is wrongly taken down.. If to the untrained observer these changes might seem to open up plenty of room for uncertainty, with their vaguely defined exemptions and opportunities for competing interpretations of what is permitted, Voss said he remained “convinced that once the dust has settled, the internet will be as free as it is today” and that “we will be wondering what all the fuss was about”. For news organisations, authors and internet companies, the stakes are high. Whether the proposed changes will lead to a fundamental shift in the openness of the internet or alter the economics of publishing remains to be seen, and further changes may still be made before a directive is finally produced. The – fairly conclusive – parliamentary vote in favour of Voss’s amended proposals is the latest twist in a rollercoaster ride for copyright reform through the EU’s institutions. EU VP Andrus Ansip, who welcomed the vote, had earlier called on the Parliament to move closer to the European Commission’s original proposals on copyright which, he said, “was on the right track the first time round” after MEPs rejected Voss’s original plans. 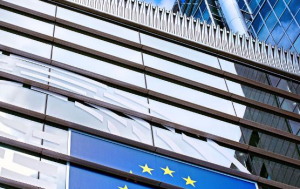 As far as broadcasters are concerned, they have so far been less vocal about the latest developments in the European Parliament than they were about the European Council’s position agreed in May. The attention of the broadcasters, led by the EBU, was focused on what they saw as highly burdensome transparency and reporting requirements. The EBU said at the time that the Council’s agreed position had “failed to create a sensible balance between providing transparency to authors and performers on the one hand, and the workability and pragmatism required on the other” and described the document as “simply not practical and realistic in its ambition”. Trilogue negotiations between the EU institutions will now get underway to produce a final draft. With plenty of stakeholders still deeply unsatisfied, however, it remains to be seen whether peace or war breaks out before copyright reform is a done deal.